What do you think about this idea? A live-action reboot of Aladdin? It’s happening… and Disney has released the first trailer! You’ll be able to see this in theatre May 2019. 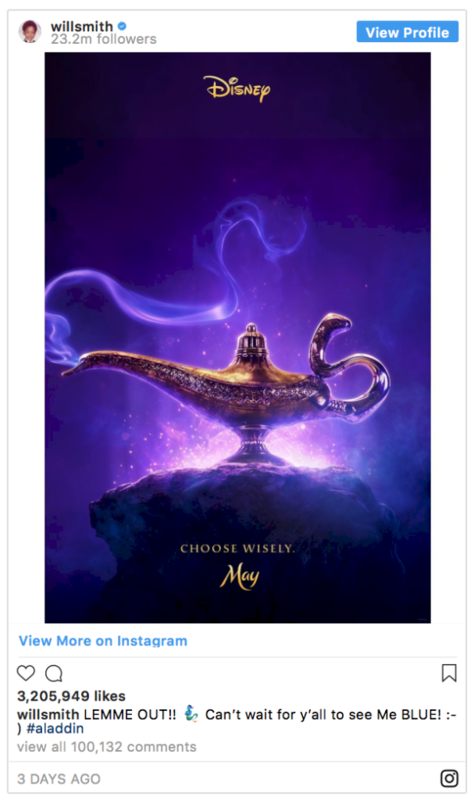 Mena Massoud stars as Aladdin, Naomi Scott plays Princess Jasmine and Will Smith is the Genie. Which animated movie would you like to see make into a live-action movie?